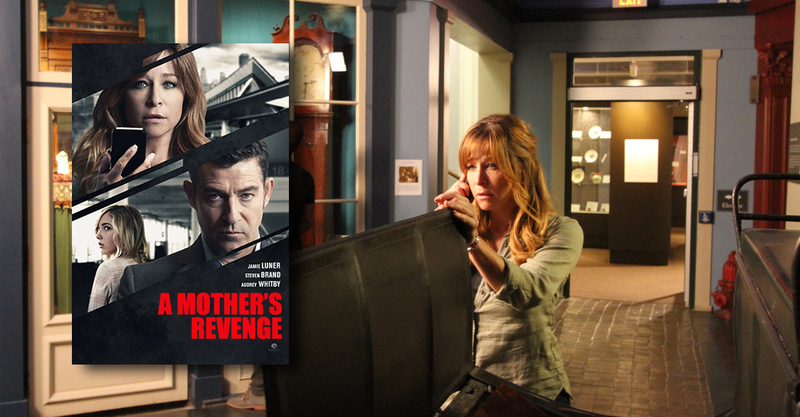 (May 4th, 2016 ) The psychological thriller directed by Fred Olen Ray filmed entirely in Buffalo and Niagara Falls in Summer 2015 is now called “A Mother’s Revenge” and will air twice this Mother’s Day weekend on the Lifetime Movie Network. A third showing will occur on May, 21st. The next showtime is Saturday, May 21st at 6pm. “A Mother’s Revenge” tells the story of Jennifer (Jamie Luner) who flies to up to Buffalo to attend her daughter Katey’s (Audrey Whitby) graduation at a local college(Buffalo State). She hurries through the busy airport, arguing on her cell phone with her estranged husband, Robert, who is also coming into town to celebrate the occasion. At the baggage carousel, distracted, she quickly grabs a black suitcase. 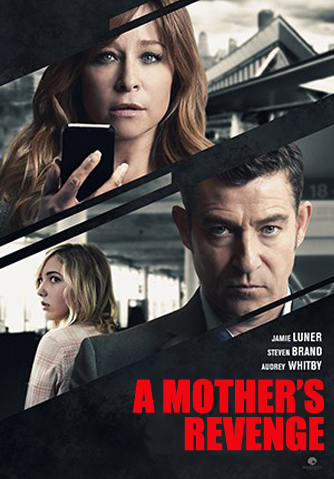 At her hotel, Jennifer discovers that she’s grabbed the wrong suitcase and even though there’s nothing overt about the bag’s contents, she receives a phone call from a man (Steven Brand) claiming he will harm her daughter if she doesn’t follow his instructions and return his baggage. It quickly becomes clear that he is willing to kill to recover it.